My passport expires this summer and I have to surrender it in order to renew it. I scanned it and put this flip book together as a video. Locations include Japan, Colombia, Peru, Mexico, Greece, Spain, U.S., Germany. Today, I provide detail about which children get U.S. citizenship automatically when immigrating here. Meanwhile, have your friend's son get a U.S. passport. To decide whether a person derived U.S. citizenship from a parent, we look at two sets of rules. Posted in Latest News	| Tagged citizenship, decide, Islamic Games, Latest, News, Passport', U.S. Losing something important, like your passport, is not fun. However, once you’ve torn apart your house and your car looking for it, there comes a time when you simply have to let go, bite the bullet and get it replaced. 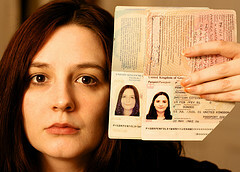 Let’s take a look at the options available for replacing a lost passport in Houston, Texas. No matter where you are, once you’ve given up on finding your passport the first thing to do is to call it in. You can report your passport lost or stolen by calling 1-877-487-2778. Don’t do this until you’ve looked everywhere, though-much a like a credit card, a lost passport is invalidated and cannot be used again once it has been canceled. If you don’t need your new passport immediately, you can replace it by applying in person at a passport acceptance facility, like a post office or library. You can find the nearest acceptance facility by using the Department of State’s website. Once you submit the required paperwork and pay your fees, you’ll have to wait approximately 6 weeks for your new passport to arrive in the mail. Paying an additional $ 60 and requesting expedited service will cut this time down to around 3 weeks, as long as you also pay for overnight shipping to and from the facility that processes passport applications. If you’re about to leave the country and you just realized that you don’t have your passport, you can get a lost passport replaced more quickly by making an appointment at the Houston passport agency office at 1919 Smith Street. Located on the 4th floor of the Mickey Leland Federal Building, this passport office can replace a lost passport generally within 14 hours. In addition to the documents mentioned above, you’ll also need a copy of your itinerary showing that you will be leaving the country within the next two weeks. The office is open by appointment only and doesn’t accept walk-ins, so call 1-877-487-2778 to set up an appointment. Seattleites with expired passports have a number of different options for getting it replaced. Here’s a brief rundown of where to go and what you’ll need to apply for a passport renewal in Seattle. The passport you are replacing was issued to you after your 16th birthday. The passport you are replacing is less than 15 years old. You still have your current passport, and it has not been lost, stolen, damaged or otherwise mutilated since it was issued to you. If your name has changed, whether it be for marriage, divorce or any other reason, you can provide legal documents to support your name change request. If you meet all of these conditions, you can apply for a new passport by filling out form DS-82 and sending in your old passport, one passport photo and documents to support your name change request, if applicable. You’ll also need to send payment for the fees, which can vary depending on whether or not you want to include a passport card or expedited service. If you don’t meet the requirements to apply by mail, you’ll need to apply in person at one of Seattle’s 11 passport acceptance facilities. You can find the one nearest you by looking on the Department of State’s website. 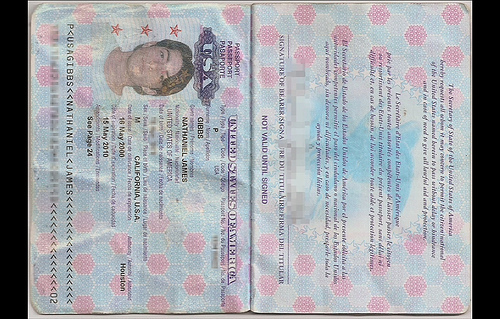 Bring proof of identity and proof of citizenship, along with one passport photo and an appropriate payment method for the fees. The Seattle Passport Agency is located in the Henry Jackson Federal Building on Second Avenue. To apply here, you’ll need to make an appointment by calling 1-877-487-2778. You are eligible to make an appointment if you need your passport renewal for urgent travel within the next 14 days, or if you are traveling within 3 weeks and need your passport renewed in order to apply for a foreign visa. In addition to the other documents listed above, bring a copy of your travel itinerary to the appointment. As long as all your paperwork is in order, you should get your passport renewal within 24 hours.